It is likely that you will need to audition to gain a place at a performing arts university or college. But don't let that make you shy away from your dreams. 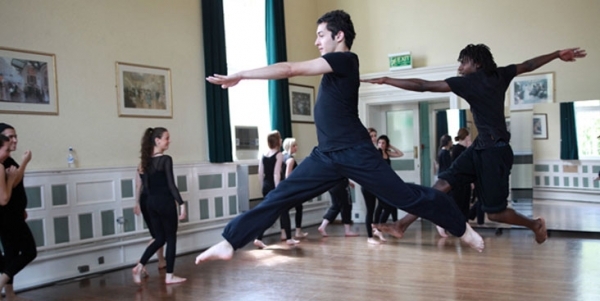 We've put together some helpful pointers to help you breeze through your audition. Before the big day, prepare. Choose audition pieces that show off your strengths. Although you shouldn't attempt to do anything that is too advanced for you, don't play too safe as ultimately you are competing against others for a place. In fact, competition for places is very high. Preparation is important, so make sure you are ready to perform to your best ability. Schools are looking for future students with raw talent who they can develop. Check the requirements set by the individual college or university. How many pieces do you need to perform? Do they need to be contrasting? Don't overcomplicate things. Opt for a monologue that shows off your skills and is appropriate to your age and casting bracket. If the piece requires an accent that isn’t your own, make sure you can do that accent and have a piece in your own accent ready in reserve. Make sure you fully understand your audition pieces. You will be expected to show an emotional link to the character through your performance and may even be asked some questions on it. If you do not fully understand, research! It WILL show in your performance. If you are singing, choose a song in your range and key. Check whether the school requires you to bring the sheet music or backing track with you. If you are using an accompaniment, prepare a clean copy of the sheet music. If you've added any markings to your part such as pauses, remember to include them in the accompaniments' part. Ensure that you leave plenty of time to arrive at your audition to avoid turning up flustered. Remember to bring a bottle of water with you just-in-case there is no water fountain nearby. Whether you’re singing or acting, warm-up your vocals. If you're dancing, make sure you are adequately stretched. Whilst waiting for your slot, you may see or hear others' audition and so may be tempted to alter your prepared audition piece accordingly. Don't. Your audition has already been well-thought out and auditors do not want to hear the same thing. You want to show them why you are different from others they have or will see. So there you have it - all the things you need to start preparing for BEFORE your audition. Don't forget to check out part two next week: about the audition itself, and things to consider after it.